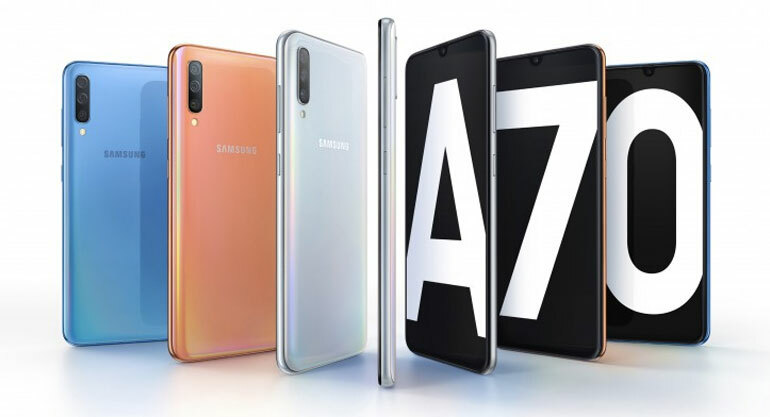 The Samsung Galaxy A70 is now official. The handset comes with a number of premium features such as a tall cinematic display, triple cameras, and fast charging speeds. 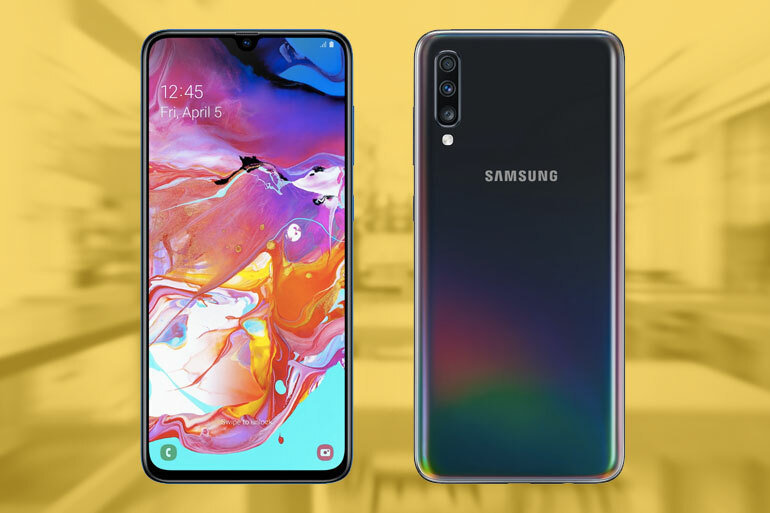 The Galaxy A70 has a large 6.7-inch full HD+ Super AMOLED Infinity-U display with a 20:9 aspect ratio and an in-display fingerprint scanner. It has a notch that houses the phone’s 32MP selfie camera. Inside, the phone is powered by an octa-core processor with 6GB RAM, 128GB storage, and a 4,5000mAh battery with support for 25W fast charging. When it comes to imaging, the handset boasts three cameras at the back. The primary camera has a 32MP sensor. It is paired with an 8MP ultra-wide camera and a 5MP shooter for depth information. The rest of the phone’s specs include One UI 1.1 on top of Android Pie, a USB Type-C port, Bixby, and IP68 certification for dust and water resistance. The Galaxy A70’s price and availability are yet to be announced. More information about the phone will be revealed at the company’s Galaxy A event on April 10. Thank you for your time. To stay up-to-date with technology and Internet news, please follow us on Facebook (TechnoBaboy), Twitter (@technobaboy), and Instagram (technobryan).